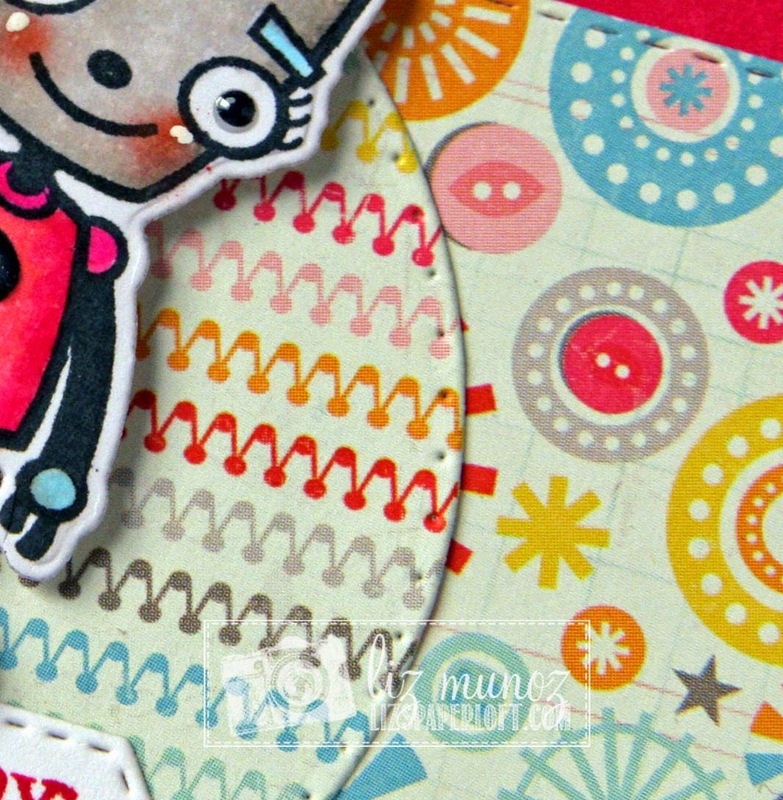 Liz's Paper Loft: MCT January Release Sneak Peek Day 4 ~ love and gears to you! 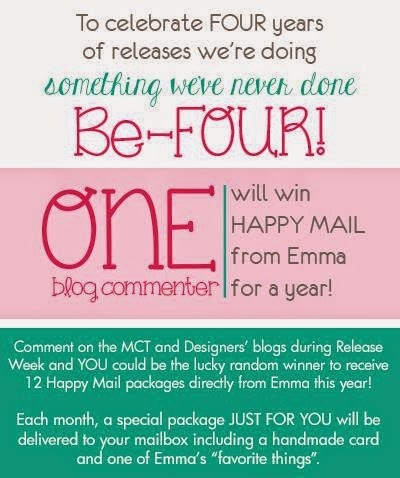 MCT January Release Sneak Peek Day 4 ~ love and gears to you! Yippee it's Day 4 of My Creative Time January's Sneak Peeks!!!! That means the shopping can bring soon! I have two project to share with you, a card and a treat holder. This new set of his and her robots are so CUTE! I just love her darling face, and wait to see what else is included in it. For the treat holder, I cut two of the hearts and glued part of the sides and the bottom to create a pocket. Then used the "chevy"dies and paper straws for the arrows. I'll see tomorrow morning for the blog hop! Thanks for sharing your sweet treat holder and cute card. Love them. LOVE your projects today! Love that adorable birthday card and your treat holder is so cute! Perfect for Valentine's day! Wow you out did yourself such a cute birthday card and the treat holder is so sweet! OMG Miss Liz OMG You've done it again...your card is out of this world adorable....love these bots and love how you colored her and love all of your cool ideas using all of Miss Emma's goodies and the paper you chose is Fun. Your Valentine treat bag is so cute...OMG talk about creative WOW you really did 2 outstanding creative jobs!! YOU so ROCK!! What a cute idea for a treatholder! And your card is adorable? Your card is adorable-what a cute robot! The treat holder is a great idea! What a cute and simple little treat holder! Love it. Liz as always you make the most adorable projects! Love the card and that treat holder is just too darn cute! Love how you used the chevron dies on for the arrows! CUTE! Awesome projects, Liz! Your bot is so cute with his glossy balloons, and I love the arrows you made with your treat holder! Your card is fabulous Liz! The robot is just darling and love the fun balloons!! Thanks for the great inspiration again today...you are all amazing! Love the treat holder, the card is awesome!!! Such a cute birthday card, and the treat holder is really fun -- perfect for Valentine's Day. Two totally FAB projects Liz!!!!! So loving that heart treat!!! I love the card and treat holder. The card is very bold, I love it! Too cute, love the glossy balloons! Awesome projects!!! 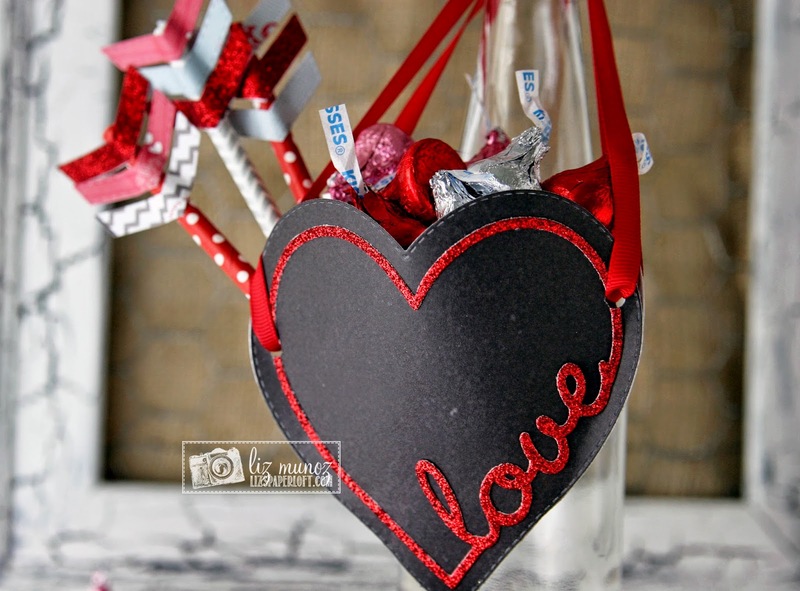 I love how you made a treat holder from the big heart die and those arrows with the Chevy dies-AWESOME! I think I might have to make some to give to my grandkids for Valentine's Day. Thanks for the inspiration! Awesome projects. Love the colors of the cutie robot card. Love the idea of a love pocket of goodies. Liz ~ Well I just ADORE your card! Seriously so stinking CUUUTE! But that LOVE heart treat holder ~ BRILLIANT!! OMG!! I am going to lift this idea ~ EEK! FABULOUS as always! Fabulous creations! I LOVE the treat holder especially! Such a clever treat holder! I, too, love the little robot girl and can not wait to get her! That treat holder is so pretty! And of course your card is just the cutest! I really like that there is a girl robot! forgot to add my email on my post. How cute--love the shiny balloons. How adorable Liz! Your card robot is super cute and what can I say about your treat holder fabulous! Two great projects. The card is darling. Love the robot holding the string of balloons - so unexpected. the treat holder us a great idea. Your treat holder is very creative! The card is adorable! Thanks for sharing your creativity with these new sets! What fabulous projects!! The card is adorable!! The bots are so sweet!! I love the treat holder!! Yet again, your fabulous creativity breathes delightful life into today's release! So much fun!! The treat container: brilliant! The coloring on your robot is perfect...she is so cute. 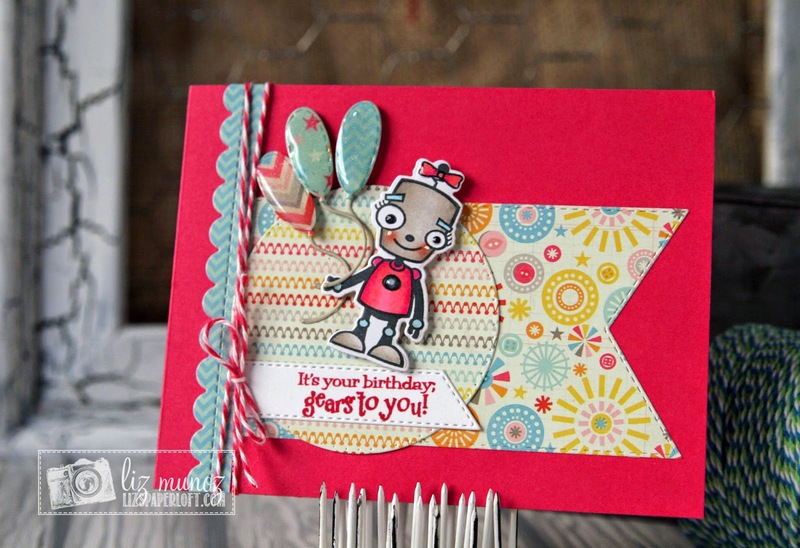 Love the glossy balloons and many dies for your card design. Love the sentiments too. Clever idea for your heart treat holder and arrows. Fabulous job! I love your card the pattern papers are awesome and your heart treat box is great, thanks for the idea! Beautiful projects. I especially love the treat holder, what a clever and adorable idea! Fantastic projects! 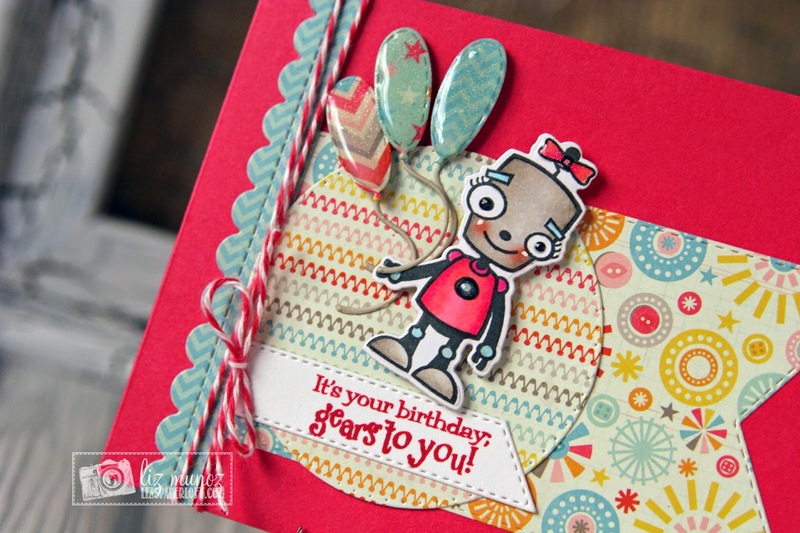 Your card is amazing with all of the colors and patterns and I love your robots sweet face! Love the pocket treat holder with the adorable arrows! I just love the heart dies and the bots are so fun! Thanks for all of the inspiration this week! oh I have to make this!!! I love it! Great job and thanks so much for the great idea! I love those rosy cheeks on you girly Bot! 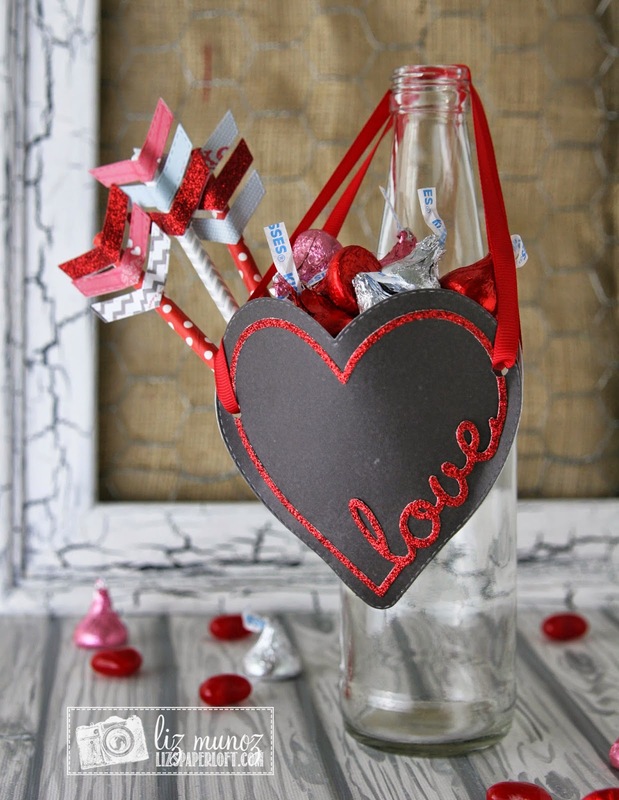 The treat holder is a great idea for Valentine parties for the classroom. I just love both of your projects!!! That card is just so cute!!! I love the treatholder, perfect for Valentine's Day!! Oh my gosh, what a fun treat holder! Your card is absolutely adorable as well!! Thanks for the awesome inspiration!! I love your card and treat holder! That little robot is just the cutest ever!! Super cute way to create a treat pocket too! Hugs! What an awesome treat holder!!! How fun is that?!?! ADORBS!!! Cute cards and love the fun heart treat holder! Great project! Fun card and fabulous treat holder! Love them both! Adorable idea! What a lovely treat holder! Love love love the glossy robot! She is classy! I also love how the entire DT has used Emma's new release and older onces to make great projects as yours!! Awesome projects!!! Love them both. Great Job!!!! Such a sweet and colorful card. Like all the fun paper. Am loving the heart bag the arrow pencils. Awesome idea. Awesome projects, that card is adorable, great colors and the treat holder is fantastic, great job! !